Vacation rental townhouse. Sleeps 6, 2 bedrooms, 1.5 bathrooms. No pets allowed. Spacious Living Room with views to the lawn and pool area. View from spacious living room towards dining area. Entrance to kitchen is beyond the dining area. The sunny end unit Living Room Area has sliding door access to the patio with courtyard and pool view. The side patio views the side courtyard. A flat screen television complete the space. Large spacious Living Room has comfortable furnishings and views out to the pool and courtyard. Cozy dining area can accommodate six people. There is an adjacent powder room for convenience on the first floor of this townhouse. Dining area, looking through the living room to the sliding glass doors that lead to the patio. Dining area is perfect for meals at home. Cozy dining area can accommodate six people. There is an adjacent powder room for convenience on the first floor of this townhouse. View from the kitchen through the dining area and living room out to the patio. Renovated Kitchen / Dining Area features all white cabinetry and appliances, granite counters. Renovated Kitchen features all white cabinetry and appliances, granite counters and tile flooring. Fully furnished kitchen and the laundry area with access to the service courtyard. Comfy queen bed in master bedroom with sliding door access to a small balcony overlooking the courtyard/pool area. The upstairs bath is located between the two second floor bedrooms. The room has a tub/shower combo a vanity with granite countertop and tile flooring and wall. The cheerfully decorated second bedroom has a pair of queen beds. On-site pool is in the center courtyard of the Coligny Villa Complex. 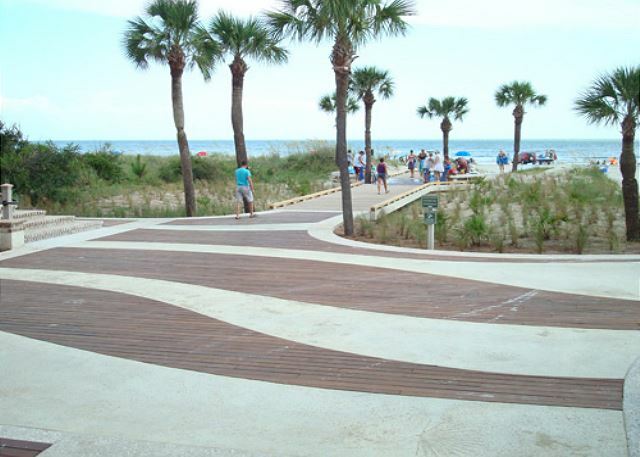 Boardwalk from the Coligny Beach Park to the Atlantic Ocean. Indoor heated lap pool with access to aqua classes and hot tub available. Use of this facility is complimentary with you rental.. Welcome to Coligny Villas!! 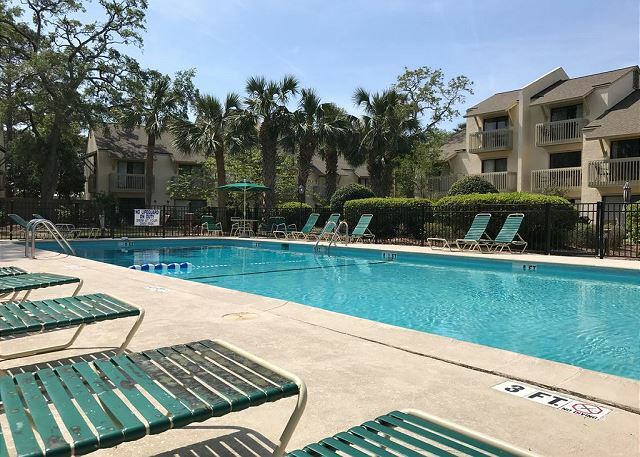 Looking for a peaceful beach get away that’s within close walking distance to the beach and Coligny Plaza? Then look no farther!! This is a two story 2 bedroom, 1 ½ bath townhome. The main level of this villa provides cozy furnishings provide plenty of comfortable seating for your family. The openness of the living and dining area provide a great gathering place for family and friends. 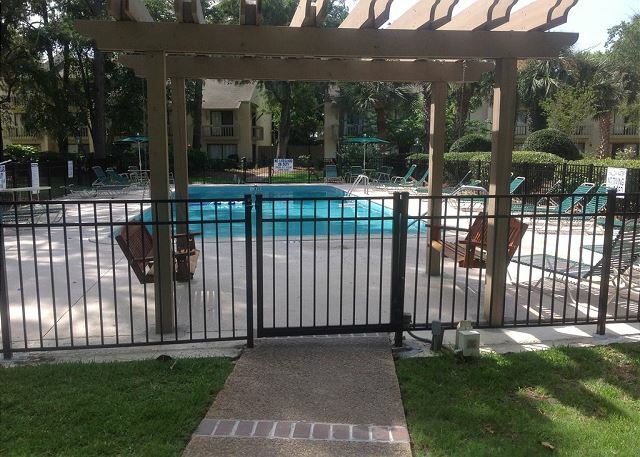 The living room opens out onto a nice patio with outdoor seating and gas grill and is just steps from the pool. The fully equipped kitchen has nice granite counter tops, full size appliances and the convenience of a full size washer and dryer in the adjoining laundry room. Located on the second level you have your two bedrooms with a shared bathroom located just off of the hallway. The master bedroom has a queen size bed with plenty of dresser/closet space and a flat screen TV. From the master bedroom balcony you can enjoy views of the courtyard and pool area. The second bedroom provides two queen size beds with a flat screen TV. The villa has secure WIFI, so stay as connected to the real world as you choose. 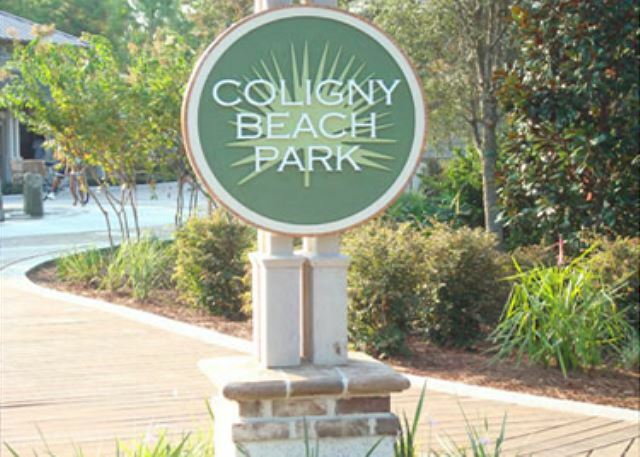 Coligny Villas is located just 2 blocks from the beach and is just steps from Coligny Plaza Shopping Center. 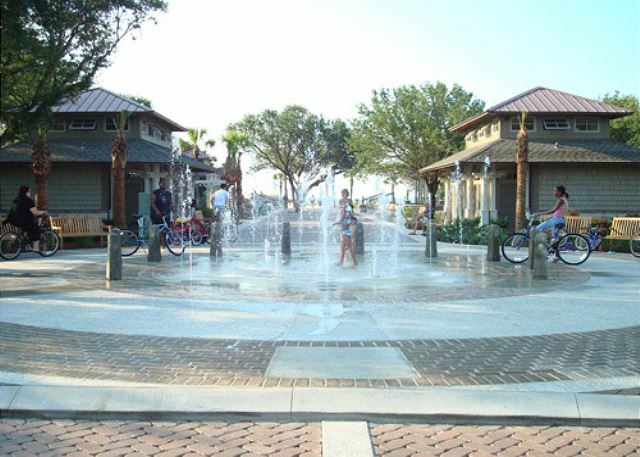 Coligny Plaza has over 70 shops and restaurants. No need for a car on your vacation, you can literally park the car and walk or bike to get to most places you want to go! 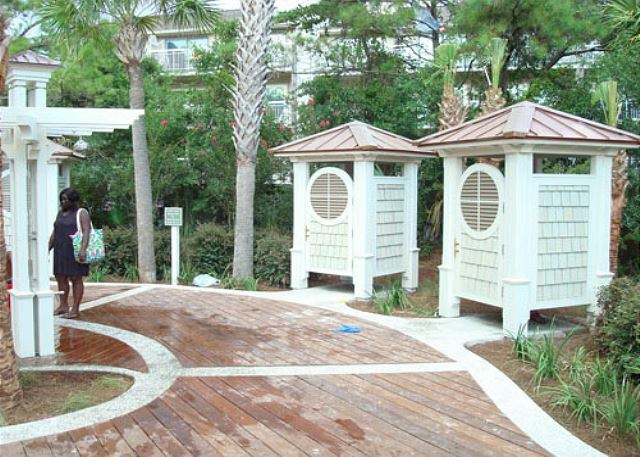 Rooms Sleeps 6, Nicely decorated 2 bedroom, 1 1/2 bath in Coligny Villas. Located off Lagoon Road on the south end of the island this villa is a short walk to the beach and is just across from Coligny Plaza which has many shops and restaurants close by. This condo was magnificent. Well appointed, stock, accommodating and a location to LIVE! for. Perfect location about 2 blocked off the beach. Less expensive than being right on the beach, especially since beachfront is fairly limited at HHI. Cant wait to go to this same spot again ASAP.